Peas are better than sweets. In November I sow the little scary green balls and guard them like a hawk until they germinate. The giant crows and jackdaws that live in the canopy of oak forest 50m due west are eyeing them greedily and if I'm not on standby at 8am on every november morning, I'm going to lose perhaps half them. This year I wasn't quite vigilant enough and they poked out every second seed pea which makes their crime look less obvious but my peas are little less dense than other years. I grow early because I can. Down here there is little heavy frost and the seeds germinate easily on a sunny, december day and then stay still until the days begin to warm up again in February. By then the roots are well installed which means my pea plants will be strong, healthy and their fruit delicious. I plant another plot at the beginning of spring so that I can spread out the harvest but once the sun starts to shine, they all seem to catch up on each other. They're really easy peasy to grow. They just require some good fertile soil, moisture, a strong trellis and as the days warm up a little bit of shade. It begins to get too hot for peas here after June. 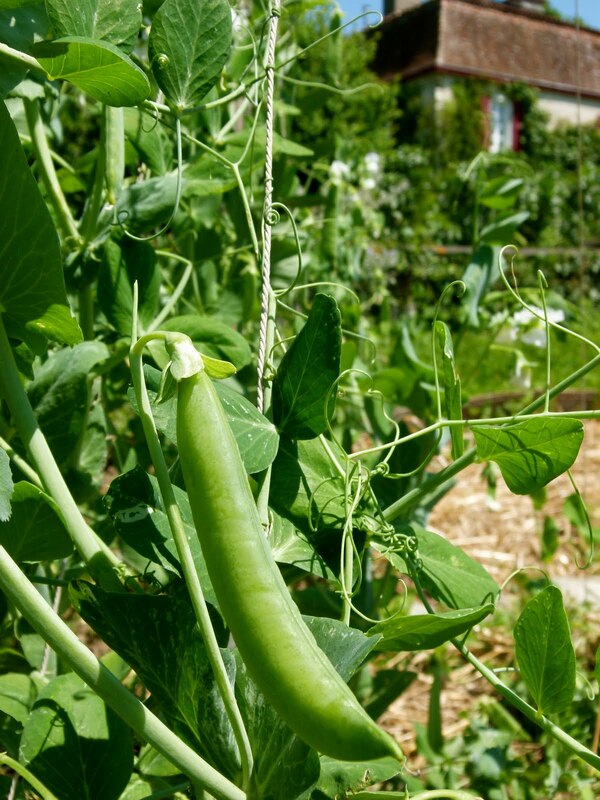 The season is short so I eat them for breakfast on my porridge, raw for lunch and cooked for dinner and by the time the last pea is plucked in June, I no longer appreciate them and can hold out for another year. Once frizzled, dry and dead, they continue feeding the earth with nitrogen and just need to be turned into the soil, roots and all to provide a nice nourishing breakfast for the tomatoes or courgettes that follow. 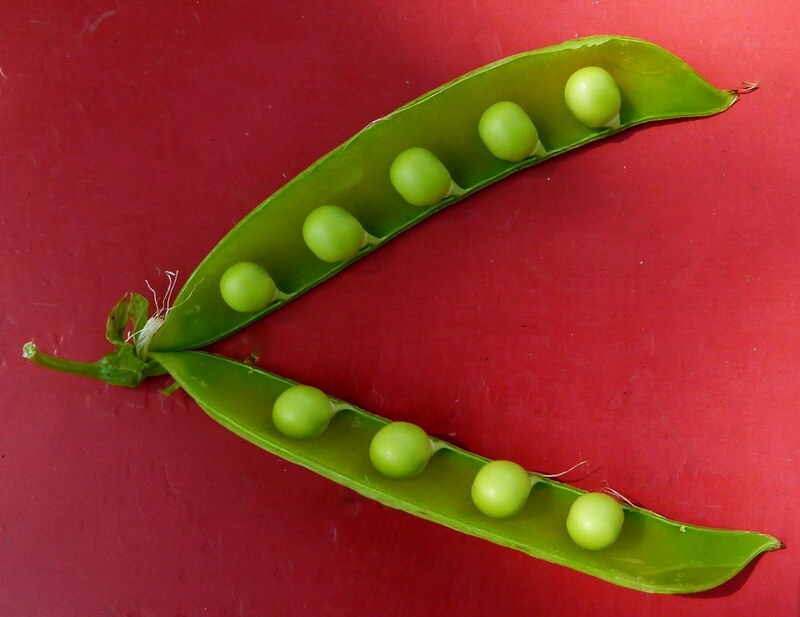 As soon as the pea is picked, the sugars turn to starch, so the sweetest peas are the freshest peas - small, bright green and firm. We eat them straight from the pod as the spring garden is grelinetted and planted out and they prove to be the perfect sustenance. Once they get to the kitchen, they are dropped in boiling salted water for 15 seconds and no longer, just to warm them through, and served with a sprinkling of fleur de sel. Preheat oven to 190°/375°/5. Butter a 20cm spring release tin generously and sprinkle with a little of the grated parmesan. Melt the remaining butter in a medium saucepan, add the onion and fry gently until soft. Add half the mint, basil and 100ml of boiling water. Add the peas (if older) and cook for 5 minutes. Remove from the heat and allow to cool. Put half the mixture in the food processor with the yoghurt and ricotta. Blend to mix briefly. Add the eggs one at a time. Last night we had pea sformato wiht green salad ans Gigondas. Was so nice, everyone wondered about the delicate taste. I have to thank U for sharing, and tell U ur blog is "un bijou"